From the Austrian Alps to the Chilean Andes, skiing unites friends, families and complete strangers into our mountain family. The risks of our sport are obvious and can await us on the next turn, therefore we must control every possible aspect of our skiing experience to maximize our chance of making it safely down the mountain. 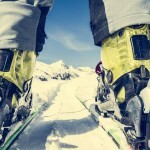 By attaining and maintaining the best ski equipment possible we can do this! The best ski goggles will protect any skier’s eyes from the dangers that the sun’s rays can inflict and this is how to choose the correct pair, featuring examples. Primarily, there are some aspects that are of the upmost importance when considering purchasing a pair of goggles. Although this article will go on to list some of the latest and best ski goggles, these fundamentals aide buyers when deciding which is right for them. Cost is by far the biggest obstacle when it comes to purchasing goggles. You must set a budget and stick to it, otherwise, wisecracking salespeople will have you walking out of the shop with a $400 pair of beauties that you may only use once. only buy goggles that meet your needs. There are very few people who will need six pairs of lenses, two frames and a strap or two. The average skier may only use their goggles for one week a year and will not need the best kit, however, be forewarned, in the ski world you get what you pay for and low prices lead to inferior products. It is wholly your decision as to what kind of balance you strike between the two. Basic demands must include proper fitting, comfortable goggles, and safe lenses. If you buy a pair of goggles without trying many pairs for comparison, you may leave the shop with an unsatisfactory pair that does not fit your face and leave you with panda eyes at the end of the day. Safe lenses are a must! Why wear goggles if they do not protect your eyes from the sun? Ask the salesperson the UV protection they provide and what this means. Quick tip: make sure to get fitted for goggles with your helmet, to ensure they fit properly – of course, only if you wear one (and if you do not, I hope you enjoy pain and death by sports). By far the most important feature of best ski goggles is the lenses, as they actually do the protecting bit! Having an array of lenses is important for all skiers. I know, I know, I said you might not need multiple sets of lenses, but every skier should have a pair of the following, due to the temperament of the weather in our sport. Dark lenses (rose, mirrored or brown) – these are best used on sunny days and should never be used in flat light, foggy or snowy days, additionally mirrored goggles are perfect on these days, as the mirrors actually reflect light from your eyes. TRUST ME! I have learned by experience, you do not want to be caught in a whiteout, with mirrored goggles and have to snowplow from piste-marker to piste-marker, while wearing your nation’s colors. Contrasting lenses (orange or yellow preferably) – bright colors are used to contrast the white of the snow. These lenses are best used in flat light and on foggy or snowy days. Although these fundamentals must be constant when buying any new set of goggles, there are some that are exceptional and provide all of the aforementioned and more. Although not all come with a choice of lenses they can be bought at a later date. These goggles come in a range of different colors and have the iconic Oakley fins that make the goggles look so damn good! 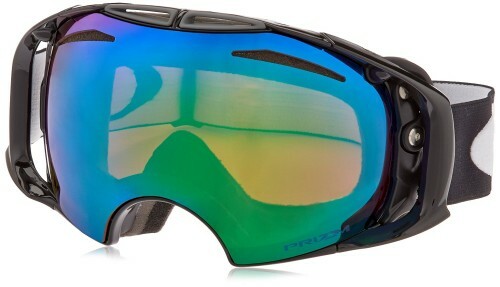 A range of multiple colored lenses are available and the lenses have a panoramic view, which offers zero obstruction to improve your line of sight on the slopes. The Splice’s lenses are dual vented to prevented them steaming up and have F3 Anti-fog technology. Another Oakley contender here, less vulgar than the Splices, the Airbrakes offer the same quality and features in a more utilitarian package. With switch lock technology and, as standard, two sets of lenses, they are the perfect goggles for the all mountain skier who skis in varying conditions (every skier ever!). 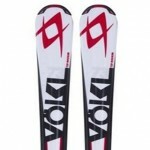 They are perfect for racers and other competitive skiers as they have no fins like the Splices, prohibited at some levels of competitions such as IPCAS. 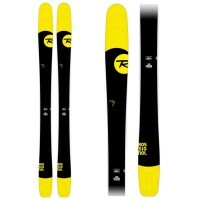 POC are the ski company that will offer you no-thrills quality. 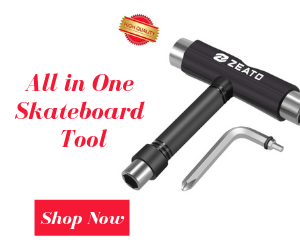 Their products are notoriously simplistic yet reliable. The Retinas are a perfect example of just this. With an optical-grade polycarbonate lens that is treated in a way to ensure scratches and fogging become a rarity, these goggles will get you down the hill safely and between you and me; they are what all the pros wear. Nothing looks cooler than POC orange! Scott are similar to POC, minus the price tag. The Recoils come in a range of different colors and will fit almost any style needs. These goggles come with a clear lens, perfect for skiing indoors or at night. Their lenses offer 100% UV protection thanks to their clear Lexan lens. 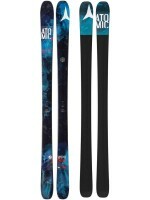 These goggles are extremely comfortable and have a rubber backed strap and are perfect for anyone who engages in torchlight skiing or snow-dome activities. These Oakleys come in a range of three colors and can fit most Oakley lenses. They offer a refined and dignified style and have dual-ventilation and F3 anti-fog coating as mentioned before and additionally have O-Flow Arch technology, offering structural support to enhance comfort, increasing the users ability to breathe. These Giros are available in 6 different colors and many lenses. By far one of the coolest goggles on the market this year, their design features double-layered face foam and micro fleece facing! With the Spectral Band lens, it is possible to block high-intensity glare. These goggles are simplistically stylish and are designed for those who are not fans of the showy freestyle kit that is gorging on our sport! 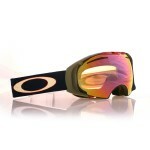 Similar in design to the Oakley Splice and one of the only differences I could find was the branding. Although the selection of colors and lenses are somewhat limited the tripic mirror or biopic lenses offer optimal protection from the sun’s rays. The foam is also double-layered and fleece-lined, perfect for keeping out the biting wind! A great goggle here from Scott. Available in 10 varieties with an OptiView double lens and air control system (ACS) to vent the lenses. The lenses are also Anti-Fog treated and have cheek vents to optimize visibility. 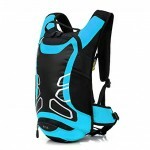 They also have triple-layered hypoallergenic foam to suit the needs of all. The Onsets are an awesome goggle from Giro, tailoring to those who prefer an aesthetically pleasing goggles. They come in a range of four colors and have True Sight Spherical dual lenses with triple layer face foam (including fleece facing). The Onsets are the perfect medium between looking good and having a goggle that can get you down the hill safely. These are classics! With super soft hypoallergenic face foam and a quick connection strap, they are the comfiest goggles I have ever worn. 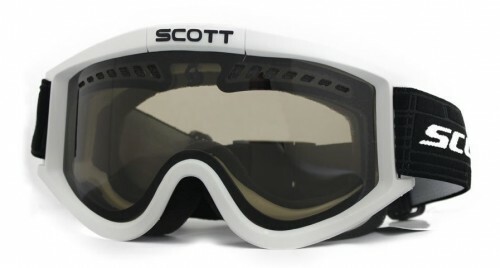 They come with a Scott TruView double lens and are lightweight but still resistant to impact. These goggles are the most reliable goggles I have ever seen and even I have a pair! 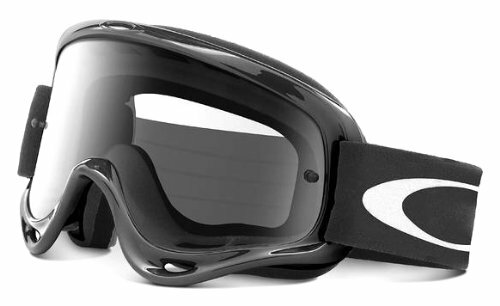 The Oakley O-Frame MX Goggles are truly one of the most ski goggles currently available in the market today. Don’t be fooled by the price of these goggles as they offer much more than that. They feature the Flexible O-Matter frame that gives you maximum peripheral vision with durability, thanks to the carbon fiber material used in the construction. The triple layer face foam fleece is ideal in keeping the sweat and moisture away while going downhill. Oakley is certainly one of the leading brands in ski goggles and the MX Goggles further solidifies their status as one of the best. Featuring anti-fog and impact and scratch resistant Lexan lens, these goggles offer the best performance in humid environments and allow maximum sunlight to pass through the lens for the most accurate view of the environment. Weighing just 3.5 pounds and available in one size, the MX Goggles are the perfect example of performance and protection. It features the renowned 100% UV filtering lens that optimizes your performance regardless of how demanding the conditions are. The contoured frame offers a great seal against dust and debris while keeping the moisture away. Overall, it’s one of the best ski goggles by Oakley. While most ski goggles are universal and cater to both male and female skiers, Bolle offers some of the best specialty goggles that are gender specific. 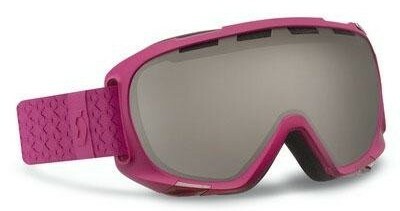 In other words, the Bolle Duchess Goggles are a prime example of high functional and versatile goggles for women. It features a P80+ Anti Fog lens that quickly disperses water molecules and soft snow from the surface of the inner lens. This prevents moisture from accumulating which results in a clear view of the environment. The spherical lens features in the Duchess Goggles have become a mainstay in Bolle’s models. It brings a wide angle view of the field and allows maximum peripheral vision. The Triple Layer Face Foam is just what you need to keep the dirt, debris, and soft snow away. One layer of ultra soft polar fleece accounts for comfortable fit while two layers of foam make it completely resistant to dirt and debris. The Equalizer Vent is highly breathable and waterproof to deliver you the best fog-free view that takes you places. 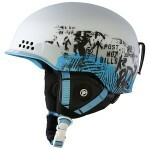 Overall, it’s probably one of the best multi-purpose ski goggles for women that weight less than 1 pound! 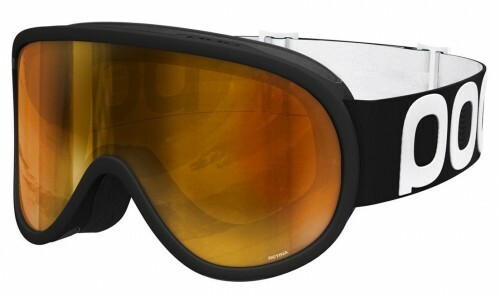 The Bolle Mojo Snow Goggles are currently one of the hottest commodities available for skiers. Featuring the classic goggles look, there is much more to the Mojo Snow than what meets the eye. The advanced lens technology gives these goggles the perfect optical clarity and fog-free viewing you need to dominate the snow terrain. For comprehensive ventilation, the Mojo Snow features an intuitive Flow-Tech Venting design that reduces fog while optimizing the airflow inside the lens. 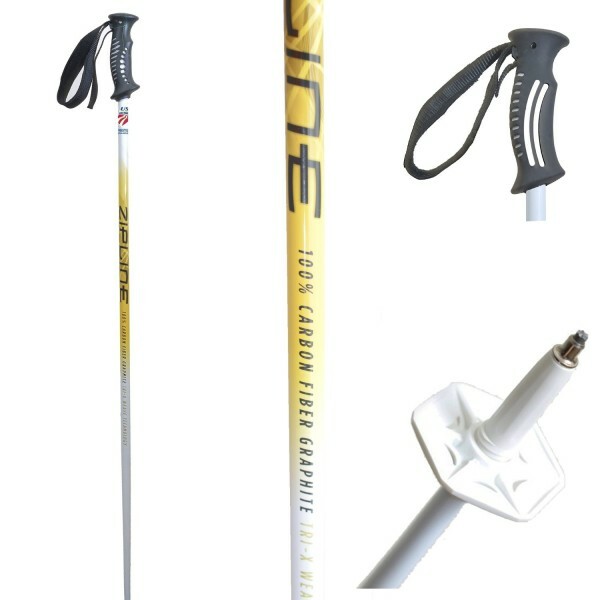 The venting ports regulate the flow of air and prevent clogging from ice and snow conveniently. 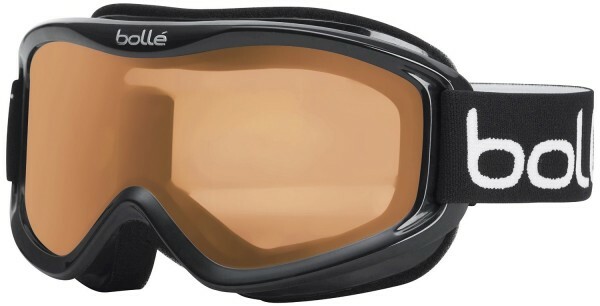 The Bolle Mojo Snow Goggles feature a unique double lens design that creates a thermal barrier. This keeps the temperature regulated while offering you clear view of the environment. The P80+ Carbo GLAS coating is ideal for preventing fog and scratches from getting the better of your lens. Coming to you with a one year warranty, this is probably the best value for money goggles that you can buy today. 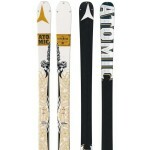 If not for the features, buy the Mojo Snow for its classic, vintage look. The Oakley O2 XS Monster Ski Goggles may not look ferocious at all, but when it comes to performance and usability, they can easily be compared to a beast. Featuring retro and stylish designs, the O2 XS Monster is one of the best ranges of ski goggles from our favorite makers. Featuring the trademark Flexible O Matter chassis, the ski goggles fit comfortably on your face, even in the harshest of weathers. 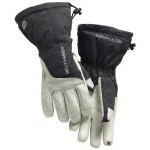 The All-day comfort design is further boasted by three layers of foam that feature moisture wick polar fleece lining. The Lexan lens material gives you 100% protection from UVA, UVB, UVC, and other harmful lights for up to 400nm, which itself is reason enough to invest in these bad boys. The Oakley O2 XS Monster Goggles are targeted for the youth with their frame geometry and retro designs. The dual vented lenses featuring F2 anti-fog coating that gives you the best view of the environment while giving protection against moisture, dirt, and debris. The frame notches at temples make these goggles compatible with most prescription eyewear. 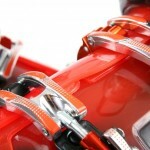 Lastly, the moto-style strap allows helmet compatibility. Overall, this is probably one of the best ski goggles when it comes to versatility. Dragon is renowned for making highly durable and stylish ski goggles and the Alliance Advanced Project X is certainly no exception. Featuring 100% UV protection along with super anti-fog, the optically correct lens allows you the best protection with comfort that a skier could ask for. The lens comes with single direction venting flow along with armored frame venting that gives great breathability. The triple foam layer with hypoallergenic micro fleece lining is what gives you ultimate comfort, and protection against snow, moisture, dust, and debris. Dragon has been one of the leading brands in eyewear and accessories and targets the youth market with the best products. The Dragon Alliance Advanced Project X is a prime example of that, having been built by keeping athletes in mind. These ski goggles feature specialty designed temples that allow most eyewear to be compatible. On top of that, it is also compatible with ski helmets and other head gear that makes it the ultimate performance and protection ski goggles currently available in the market today. Ideal for both men and women, these ski goggles are now available in over 10 fantastic designs that represent you. Overall, The Alliance Advanced Project X is easily one of our favorite ski goggles and for the right reasons too. So there you have it, the best ski goggles of 2018/2019 session.